It’s flu season which means that at one point or another you may just catch yourself lying in bed snuggled up with a cold. You’ve got a ton of work to and a family to take care of though, you don’t have time to be sick let alone clean up after it. 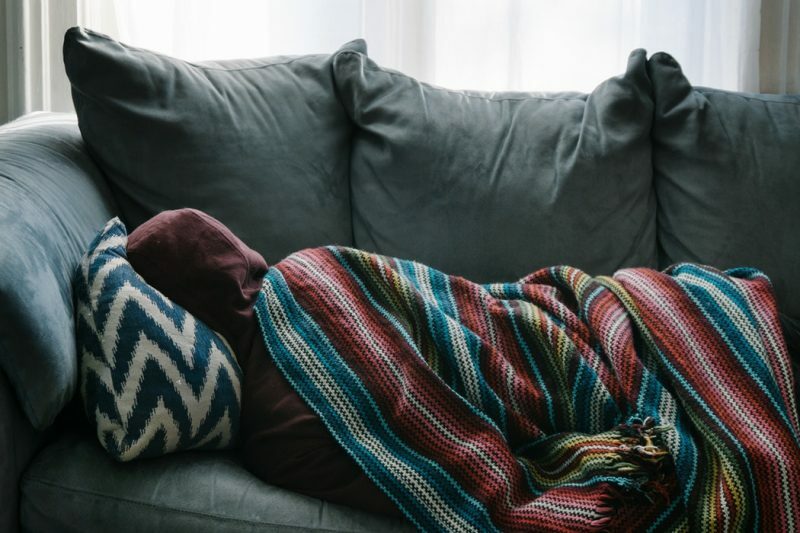 You probably know that it’s important to clean your home after being sick, but you might not know that it’s also important to clean in when you’re sick. This is to help prevent the spread of germs around your home. And it’s especially important if you have a household with children. When bacteria and germs spread from one surface to another, one thing can lead to another and then you might just find yourself in the emergency room before you know it. If you’re having trouble keeping the house clean don’t worry, we’re here to help through that by discussing ways you can start cleaning the house while you’re sick. Before you find the motivation you need for cleaning the house when you’re sick, you need to make sure that you’re using cleaning products that aren’t harmful to you and your family. Certain cleaning products can be really harmful, not only to certain surfaces in your home but to the air that you breathe in. The last thing you want is to start cleaning with a chemical that only enhances your illness and sends you to the hospital. Consider making the switch to all natural cleaning products to help protect you and your family from ingesting toxic chemicals. It can be hard to get up and clean when you don’t even feel like getting out of bed. But just like money is your motivation to get up and go to work, you can find the motivation to get up and clean the house. Now we’re not saying that you have to get on your hands and knees and scrub the entire house, but keeping it organized and free from germs is crucial during this time. Not only will you stop the spread of germs in their track, but you’ll also benefit mentally from having a clean house. And the better you are mentally, the better you’ll be physically. Maybe your motivation is music. Maybe it’s germs. Or maybe it’s knowing that you’ll feel better once you do it. No matter what it is, there’s a motive behind every household cleaning routine (sick or not) and it’s time for you to find yours. Below we’ve lined out some tips to help you. Doing the dishes can sometimes feel like one of those overwhelming household tasks. Sometimes you might just want to look at them and pray that they start washing themselves. The last thing you want to do is wash them when you’re sick. So at the end of the day go ahead and fill up your sink with hot water and dish soap and let your dishes soak overnight. In the morning you’ll be able to clean them without effort. Having a cleaning basket in your house introduces a whole new level of motivation into the equation. There’s just something about having a nice little basket with all of your supplies together in one place that just makes you want to get up and start cleaning the entire house. And it’s super helpful when you don’t feel like looking all over the place for that bottle of Windex you could’ve sworn you left under the bathroom sink. When it comes to cleaning the house when you’re sick, one of the best things you can do for yourself is to make sure that you have disinfectant wipes in every room of the house. This way, if you touch anything or start to sneeze all over the remote, you can simply grab a wipe and stop the spread of germs. Having a diffuser in your home is great for many reasons. One of them being that you can add a few drops of your favorite essential oil in it and it will help clean the air around you while strengthening your immune system. So not only are you cleaning the air, you are actually helping cure your sickness in the process. If you’re still having trouble finding the motivation to get up and start cleaning when you’re sick, consider delegating the weekly chore list to others in your home. If you have kids or a partner, this is perfect – just give them a list of things to do while you sit back and relax. But what do I do if I don’t have children or a spouse? Maybe you don’t have kids or a partner to help you when things get tough around the house. Not everyone does. Maybe you have a roommate though. And if you do, it’s perfectly reasonable to ask them to pick up some of the slack. After all, you are sick. Sometimes we just can’t clean the house when we’re sick. But don’t worry we’re here for you! Our professional house cleaners will help you get your house back on the right track. Contact us today for a free estimate.